Andrew Goodman, a 25-year-old manager with the John Lewis Partnership, moved into Twickenham at the beginning of this year and immediately started looking for a golf club so he could continue his love of the game more seriously. Without any past experience of being a golf club member, he went online to search local clubs and decided to visit those clubs that looked to offer the best environment for golfers of his age. “When I arrived at Royal Mid-Surrey I knew straight away that it was the ideal club for me,” said Andrew, who promptly threw away his rugby and cricket boots to focus on a sporting future in golf. 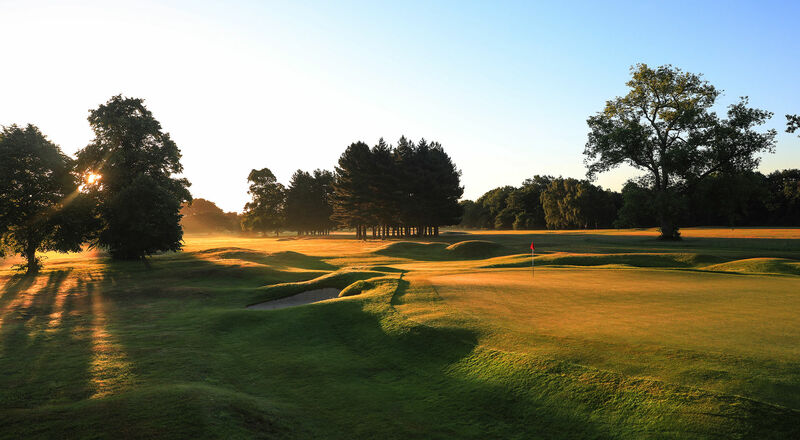 He was attracted by an Associate Membership scheme for those aged 19-29, who are offered an affordable means of joining the club and enjoy full playing rights and access to the two 18-hole courses. Over the last nine months, a total of 43 new Associates have joined the club to bring it to its limit of 120, of which 28 are Category 1 players. The club now has a waiting list for Associates for the first time in its 126-year history. Little more than seven months after becoming an Associate Member, Andrew has not only reduced his handicap from 21 to 13 after winning two club competitions, but along with a couple of other Associates he’s helped to establish a strong U35 community within the club. The group meet every ‘non-competition’ Saturday for a mixed U35’s roll-up for what Andrew describes as ‘a reasonably competitive game’ that involves many other players who joined the club this year. “With a WhatsApp group of 90 Associates, it’s very easy to organise a game and I think I’ve managed to play every week since joining,” said Andrew. ”We even ran a roll-up when it was minus six degrees!